Jude Law is about to transform into the younger version of one of the most beloved “Harry Potter” characters of all time: Albus Dumbledore. And while fans can expect to see his past relationship with Gellert Grindelwald (Johnny Depp) explored heavily on screen in the “Fantastic Beasts” sequel, they won’t be watching that part of their dynamic unfold. You know, how Dumbledore is gay and was in love with Grindelwald in their youth. J.K. Rowling revealed the big news about Hogwarts’ favorite headmaster over a decade ago, but it’s never been openly addressed on screen in any “Harry Potter” film. And it won’t be in the “The Crimes of Grindelwald” either. Yates expanded on what this young version of Dumbledore will be like in the film. 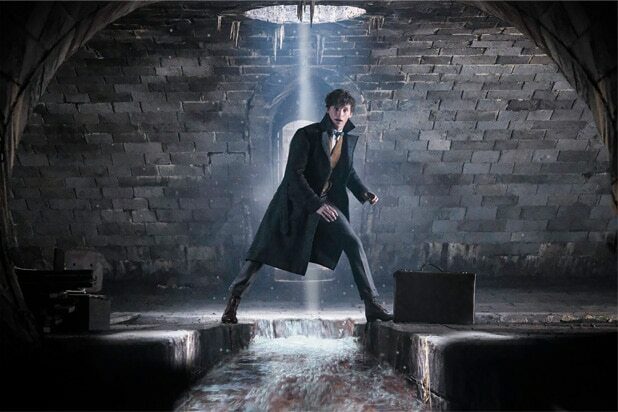 Eddie Redmayne returns as wizard zoologist Newt Scamander in "Fantastic Beasts: The Crimes of Grindelwald," due in theaters Nov. 16, 2018. 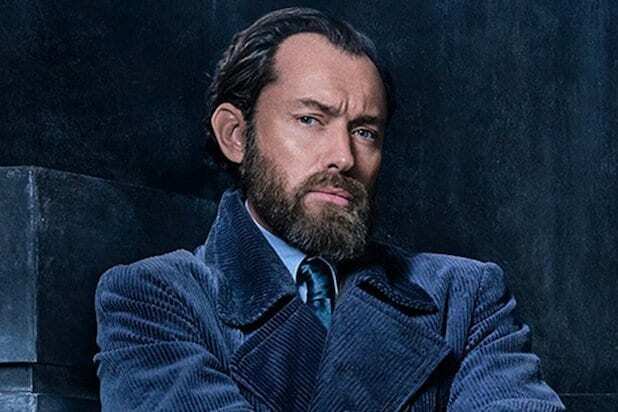 Jude Law plays the younger version of beloved "Harry Potter" series wizard Albus Dumbledore in "Fantastic Beasts: The Crimes of Grindelwald." Johnny Depp's villainous Gellert Grindewald is joined by sidekick Vinda Rosier (Poppy Corby-Tuech) in "Fantastic Beasts: The Crimes of Grindelwald." Dan Fogler and Eddie Redmayne return in "Fantastic Beasts: The Crimes of Grindelwald." Eddie Redmayne and Jude Law on the set of "Fantastic Beasts: The Crimes of Grindelwald." The full cast of "Fantastic Beasts: The Crimes of Grindelwald."